Today I will not only be reviewing Hoyu’shair coloring product:“Beautylabo”, but I will also be sharing my experience of using it for the first time. For the record, I dyed my hair 3 months ago *sorry for the late post ^-^*. I ended up changing my hair color since I got bored with my own natural hair color which is a bland mixture of brown and black. Just in case you were wondering, my hair color is naturally brown. However, the brownish strands, regardless of its apparently dominant facade desists halfway to the top. From thereon, said brownish strands gradually shifts from the autumn like, earthly colors to a darker pallete. I need to point out that my hair isn’t exactly mybest body feature. I really love straight hair but unfortunately mine is rather curly. For this reason I’ve permed my hair a couple of times in the past. To give it a more accentuated look. And because I’ve undergone such a process regularly since I was in highschool,as a result, I’ve inadvertantly damaged my own hair (apparently there’s a downside to regularly soaking your hair in chemical compounds duhhh). My hair strands are kind of dry and barren now. I was thinking of dying my hair pink or blue, but since its already damaged, I tend to refrain from bleaching it any further these days – at least until it’s fully recovered. I even bought Manic Panic, which I still have not used until now *let me know if any of you have had any experience with Manic Panic by leaving a comment on the comments section*. After long consideration, I’ve finally decided to try Beautylabo. I am using shade Cappuccino Brown here. Japan is well known for its distinctive albeit grounded hair dye products. Most Japanese drugstores sells a wide range of self hair dye products. 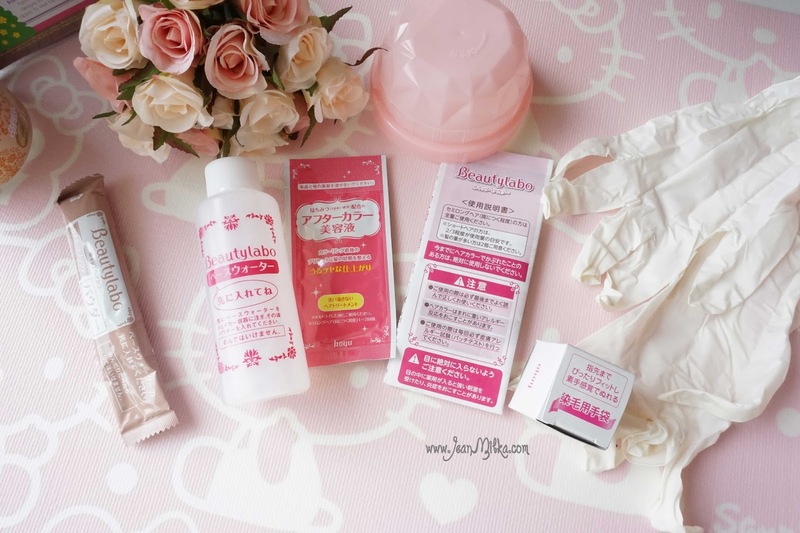 It so just happens that Beautylabo is one of the most popular self hair dye product in all of Japan. I know some other brands like Liese and Bubble, but from what I’ve heard,compared to the two aforementioned brands, Beautylabo is less damaging to your hair. Beautylabo’s hair coloring products comes in this strikingly cute bottle packaging that resembles a mini-tumblr. A picture of huge Whip Cream is printed on the fore its cap. I’m pretty sure that the cap was specifically designed that way to represent the soft, foamy texture of the coloring agents. 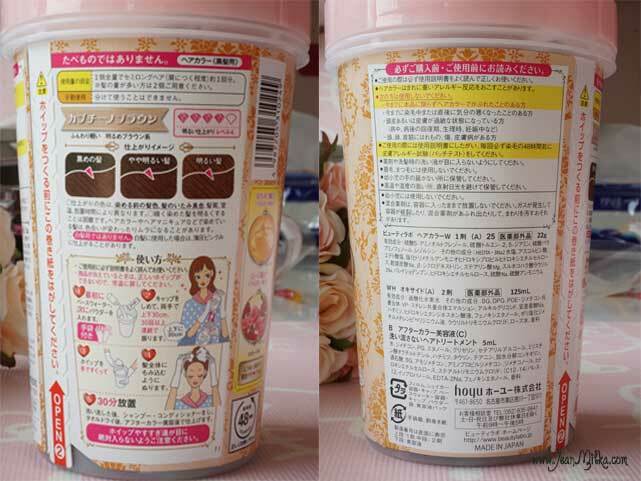 Inside the package, you will find a bottle of water base, color powder, conditioner *to use after application*, a pair of rubber gloves and an instruction booklet. The instruction is written in Japanese so I don’t have any idea what it says. I had to ask a friend who understood Japanese language to translate its contents. I also googled the steps to using this product, you know, just in case. How to Use : First you need to mix the ingredients. 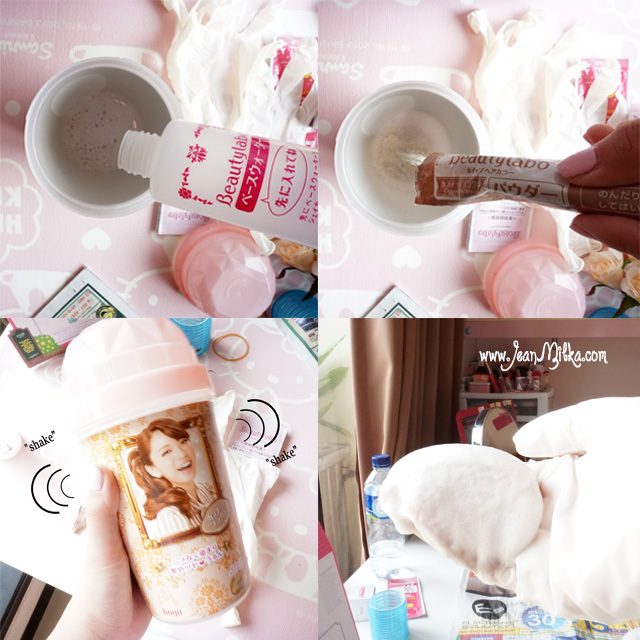 Pour the water base into Beautylabo’s cute mini-tumblr (the container) and then add the color powder. Afterwards, tighten the cap and shake the container to your heart’s content (bad-idea).The following is key! According to the instructions,you need to keep shaking the bottle up and down with both hands. Keep in mind that you are required to lift the bottle 30 cm upwards before bringing it down as hard as you can. Shake your bottle 20 to 30 times before coming to a complete halt. Application : Start from the bottom back of your hair and then go forward and up, as if you’re straightening your hair. Afterwards, leave your hair be for at least 30 minutes. Kindly note that you can use plastic or aluminium foil to ensure better color absorbtion. Shaking the bottle is the most important step. 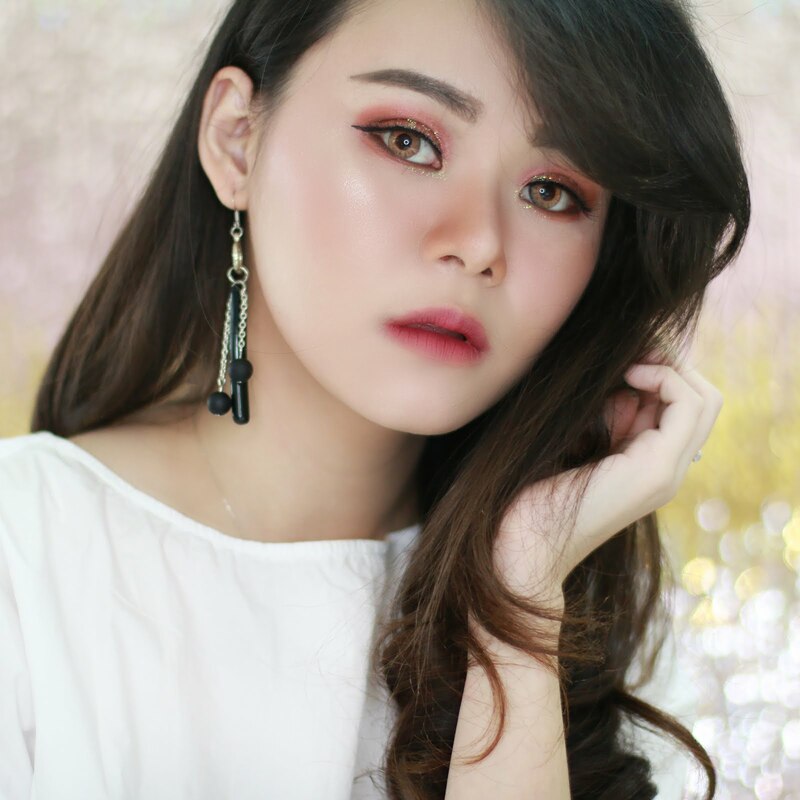 You need to make sure that both the water base and the color powder is mixed evenly. I only shaked the bottle around 15 times, give or take. Later on, I noticed that a significant portion of the color powder was left out of the mixture as they latched on to the bottom of the container (how tragic). 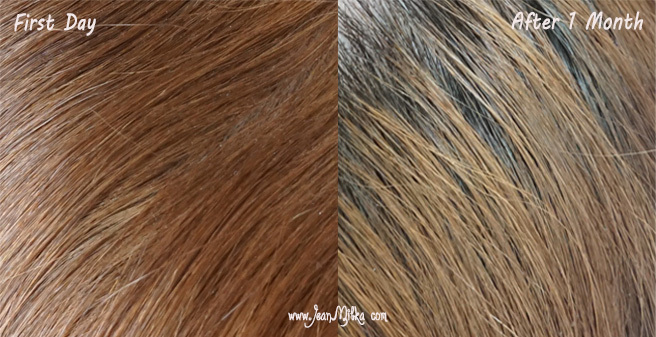 Due to the lack of color powders in the mixture applied to my hair, the upper strands ended up with a completely different color compared to the middle and lower sections. Having said that, if your hair is longer and fuller than mine, you will probably need 2 bottles to ensure that the color agents are spread evenly. After completing the above ritual, I proceeded to was my hair using Beautylabo’s conditioner. Regretfully, the amount of the conditioner provided was far too little. It was definitely not enough for my hair. In addition, I don't think the conditioner Bautylabo provided me was able to return my hair to it moist condition. I ended upusing my own conditioner. 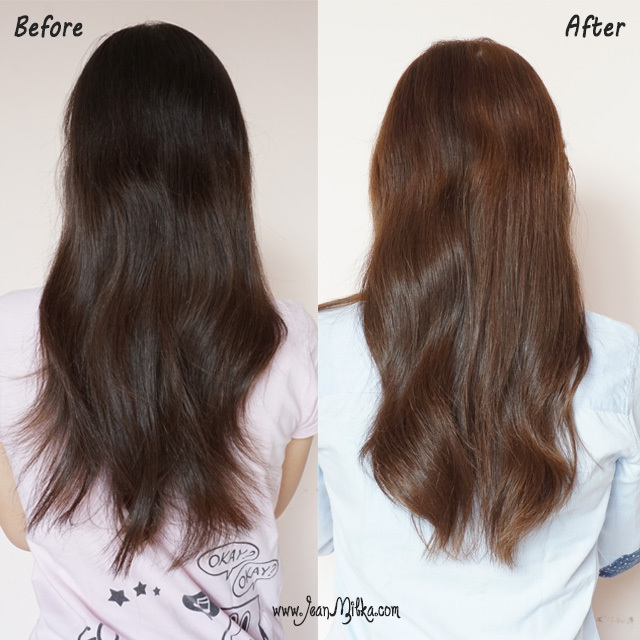 My hair felt dry at beginning, but after the second and third shower, I felt it gradually return to normal. You can see in the above picture that the upper section of my hair, the strands converging around the roots (as seen in the bottom picture) is more yellow compared to the other sections (top picture), even after the color fadedaway, after 3 weeks. Despite the aforementioned incidentals (which was partly a result of my own blunder), overall, I like the result. I left my hair in an ideal state for around 30 minutes, afterwards I rinsed the roots and left it alone for another 30 minutes. I panicked a little because the roots of my hair ended up with yellow colors while the other parts of my hair still retained its dark brown colors. Luckily, somehow I managed to pull it off in the end *hhuuiifff...*. I think you can always manage the color by managing the time. Readers : Have you ever tried Beauty Labo? or do you have any other suggestion? I was thinking of re-dying my hair again.. if you have any recommendation for a salon, please let me know by comments down bellow..
8 komentar on "First Time : Dying My Hair by Myself with Beatylabo Whip Hair Dye"
btw kalo kamu masih ingat kita pernah ketemuan di kawaii beauty japan d fx..
boleh folback d gfc ga dear ? 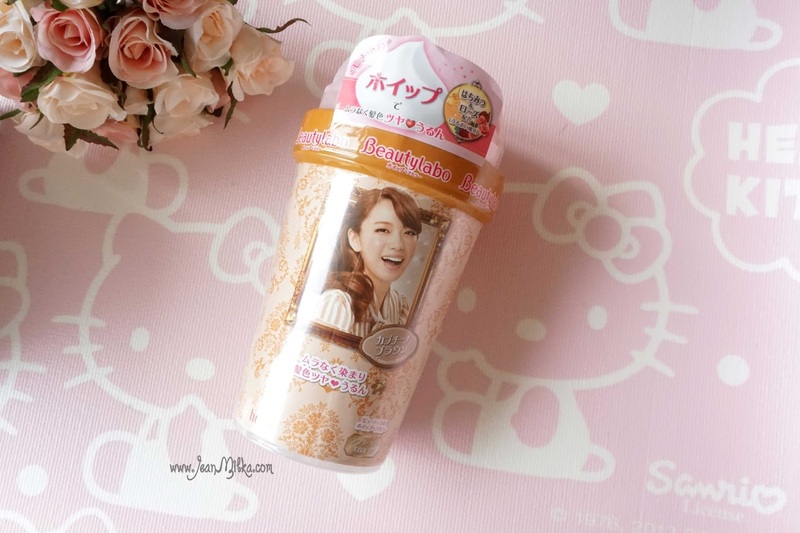 Kawaii Beauty Japan fx yang baru-baru ini? yang KBJ x HIS Tour itu?